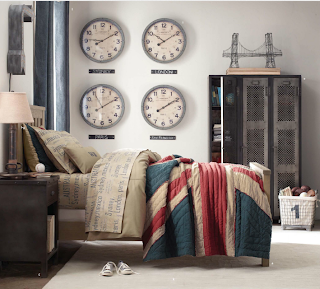 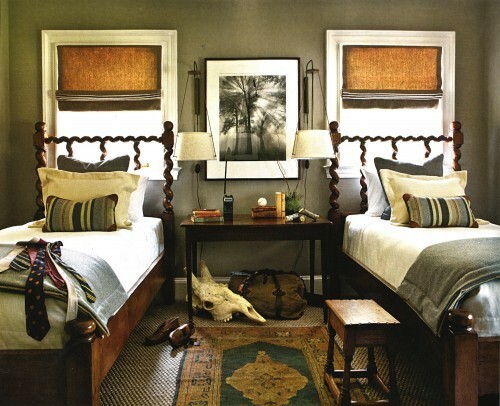 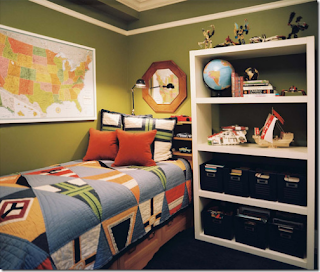 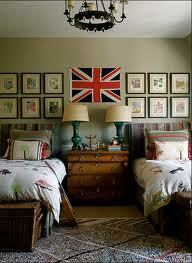 Here are some fantastic ideas for designing a boy's bedroom retreat. 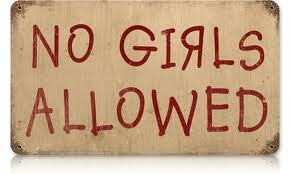 Yes, boys need a retreat too! It's just called a "man cave" when they get older. 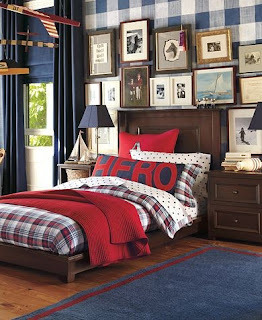 Loving the artwork collage and Hero pillow. 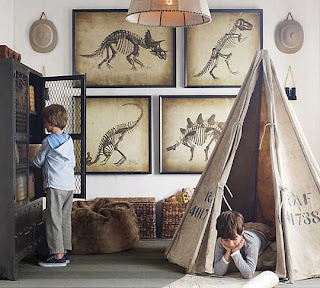 Room for sleepovers and treasures from exploring. Of course there can be a chandelier in a boy's bedroom. Oh my, someone likes pirate ships. For the travel bug in all of us. 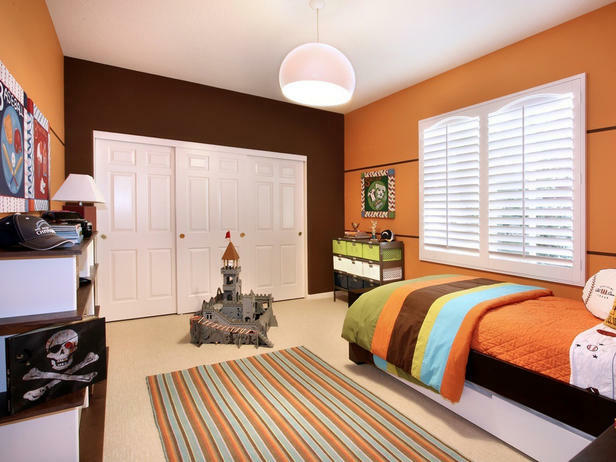 The color combination is inspiring. 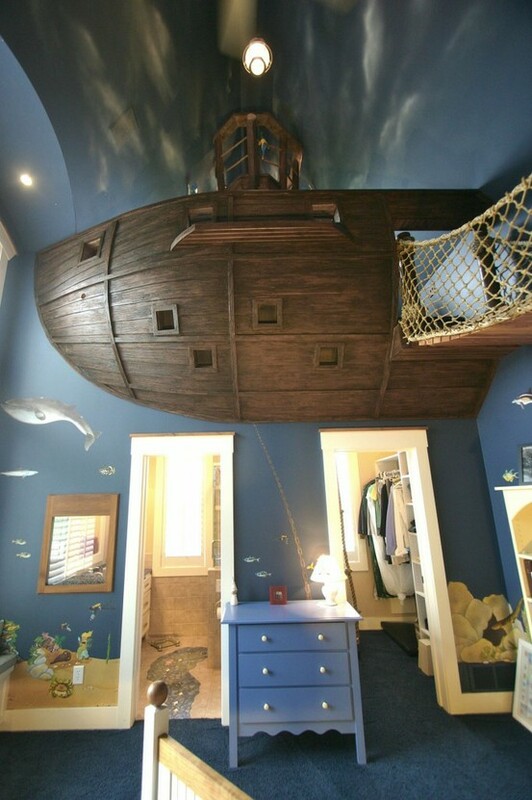 And love the storage.